For extra security, this 2-inch hook features a double prong to anchor it even more securely to standard pegboard. A plastic cap on the end of the hook provides better visibility on the wall, while durable steel means the hooks won't easily bend. 1-1/2-inch Straight Pegboard Hooks (6-Piece) It's easy to organize and add functionality to your garage, basement, garden shed, or just about any room in the house with these straight peg hooks. 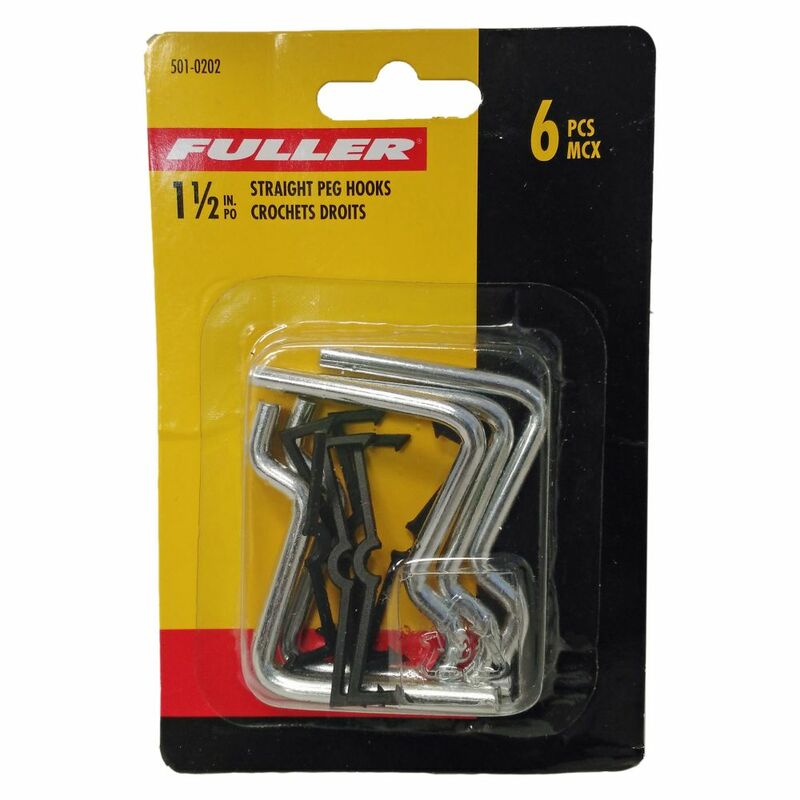 Made of steel, these 1-1/2-inch long hooks were designed to easily hang on pegboard and hold a variety of household objects from toys to tools making storage and getting rid of clutter a breeze.